António Tomás is a senior lecturer at African Centre for Cities and the course convener of the newly-launched MPhil Southern Urbanism. Tomás’s work engages with social sciences, particularly the anthropological theory to grapple with the materiality of cities in Africa. He has been particularly concerned with the relationship between imaginaries, or theories on the urban form, and concrete realities. Put it differently, he is interested in the ways which new forms of imagining and representing the city may emerge, and how they can be put to the use of recalibrating the transformation of spaces historically inherited, through colonialism for instance. This argumentation is at the centre of the book he has been working on called In the skin of the city:Luanda and the dialectics of Spatial Transformation. Another trend of his work is the theory and practice of nationalisms and national liberation movements in Africa. He is the author of a study of the African nationalist Amílcar Cabral, O Fazedor de Utopias: uma Biografia de Amílcar Cabral [The Maker of Utopias: A Biography of Amílcar Cabral], published in Portugal in 2007, and in Cape Verde in 2018. The book is being currently translated and updated into English by the author himself. He has also acted as a public intellectual and has written for newspapers in Angola and Portugal on topics ranging from racism, colonialism and decolonization, cultural studies, to contemporary politics in Angola. A collection of his journalistic writings has been published under the title: Poligrafia: das páginas dos Jornais Angolanos (Luanda, Casa das Ideias, 2010). 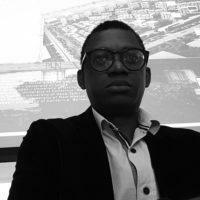 Tomás earned his PhD from Columbia University, in the city of New York, in 2012, and was the recipient of the Ray Pahl Fellowship in 2014 at the African Centre for Cities, the institution he has joined on a permanent basis in 2017 to help shaping the new academic programme focused on Southern Urbanism. He has taught and visited a number of institutions of higher education, such as École Normale des Hautes Études en Sciences Sociales, Sciences Po, both in Paris – France, Makerere Institute of Social Research in Kampala – Uganda, as well as University of Stellenbosch in the Western Cape – South Africa. In preparation In the skin of the city: Luanda, or the dialectics of spatial transformation. Pieterse, E. & Simone, A.M. (2017) New Urban Worlds. Inhabiting Dissonant Times. Cambridge: Polity Press. Tomás, A. (2016) Introduction. The Independence of Lusophone Africa. Editor. Social Dynamics 42 (1): 1:11. Tomás, A. (2015) ‘Living Dangerously in Petroluanda’ in African Cities Reader III: Land Property & Value. Tony Edjabe and Edgar Pieterse (eds), pp. 111-122. Tomás, A. (2014) ‘Mutuality from above: urban crisis, the state and the work of comissões de moradores.’ Anthropology Southern Africa 37 (4), pp. 175-186. Tomás, A. (2014) ‘Becoming famous: Kuduro, politics and the performance of social visibility.’ Critical Interventions (8) 2 pp 261-275.